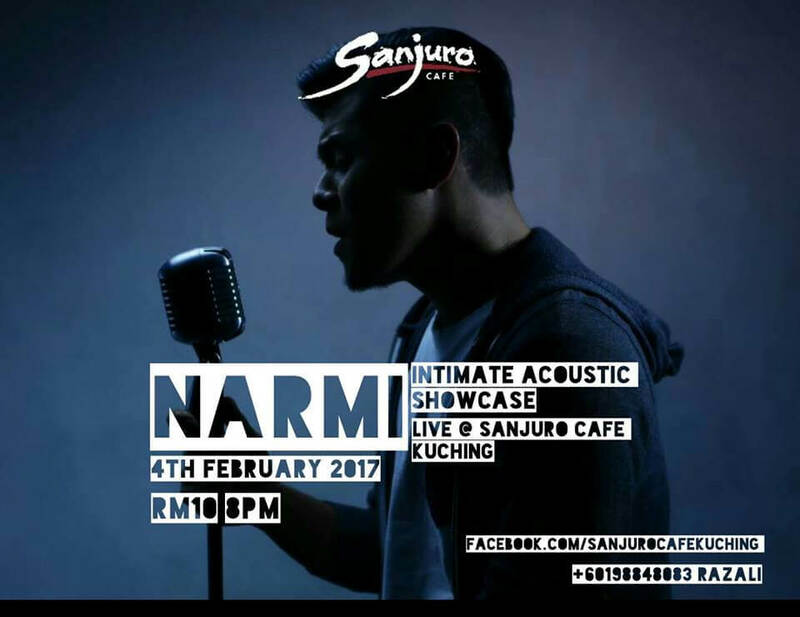 A drummer turn into a single artist, Narmi will be in Kuching on 4th February 2017. “Narmi’s calm artistry in his music has inspired a genuine loyalty from listeners. An efficient songwriter swan dives in and resurfaces armed with songs that sticks in the hearts and minds of many. Creating heartstrings with his listeners seem effortless. Narmi’s songwriting is derivative on how he sees the world, putting them into wordplays that paint pictures ever so colorful that you simply want to share with everyone. The Adventures EP has been recorded with the collaborative support of the industry’s notable producers, sessionists and great friends, capturing moments as they come and sharing them as they go.